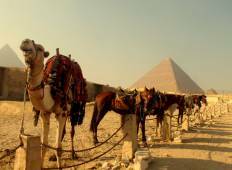 Find the best Timeless Tours Egypt trips. We've got 8 tours going to Egypt, starting from just 5 days in length, and the longest tour is 14 days. The most popular month to go is May, which has the most number of tour departures. 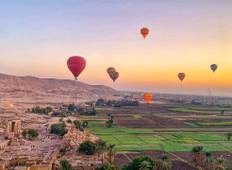 "Egypt Explorer was the experience of a lifetime. We traveled the entire country from..."
"Tourradar did an excellent job of putting this package together and providing an..."
"Amazing guide, great tour. Highly recommend"
"Great tour, we were well taken care of throughout the different phases. Our guide..."
"I would like to thank Mr Hany Kadry for making my dream trip come true!Timeless Egypt..."
"What a fantastic experience! Egypt is AMAZING ! Five days was not long enough, so..."